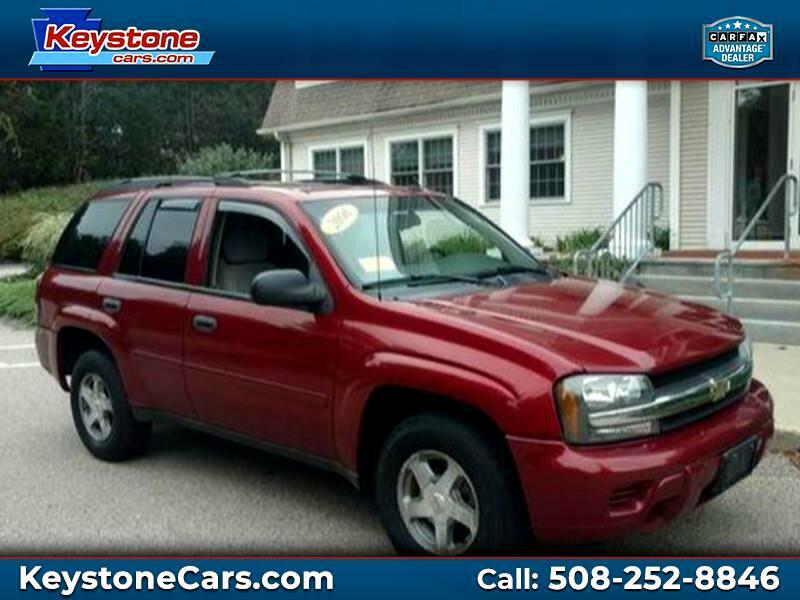 Used 2006 Chevrolet TrailBlazer Sold in Holliston MA 01746 Keystone Automotive Inc.
You're Approved!... We can finance anyone! All credit types, good, bad or no credit. All finance applications accepted, fill one out on our secure website: www.keystonecars.com Open 7 days a week, INCLUDING SUNDAYS 11- 3 / Call or text (508) 252-8846 for quick answers to your questions about this vehicle! Your message will always be answered by a real human ? never an automated system. WHY BUY FROM US? 1) Carfax Advantage Dealer: We provide a Free Carfax for all our vehicles 2) Certified Pre-Owned: All of our vehicles go through a rigorous 125-Point CPO Vehicle Inspection. 3) We've been in business since 1991 and provide excellent value along with transparent, bottom line pricing! Recognized as 2018 MIADA Quality Dealer of the Year! Text us! 508-252-8846 Get quick answers to your questions. Your message is answered by a real human- never an automated system! Text right now 508-252-8846 2018 MIADA Quality Dealer of the Year! This is a Certified Pre-Owned Vehicle that is covered by a 6 month/ 7,500 mile CPO Warranty! This vehicle comes with a spare key.